Acupuncture is one of the oldest, most commonly used medical procedures in the world. Acupuncture originated in China more than 5,000 years ago, making it one of the oldest and most commonly used medical procedures in the world. Prof. Dr. Sir Anton Jayasuriya was the greatest Acupuncture ‘Guru’. He was so talented that even Chinese acupuncture experts came to Sri lanka seeking his guidance and help. His research proves that acupuncture was originated from south India and Sri Lanka. Prof. Dr. Prakash Verekar and Miss Manaswini Verekar were one of the most favored students of Dr. Jayasuriya. To know more about our Guru please visit following sites. The term acupuncture describes a family of procedures involving stimulation of anatomical points on the body by a variety of techniques. Practices of acupuncture incorporate medical traditions from China, Japan, Korea, and other countries. The acupuncture technique that has been most studied scientifically involves penetrating the skin with hair-thin, solid, metallic needles that are manipulated by the hands or by electrical stimulation. Medical Acupuncture is the treatment for diseases, disorders and abnormalities in physical, psychological and emotional systems. 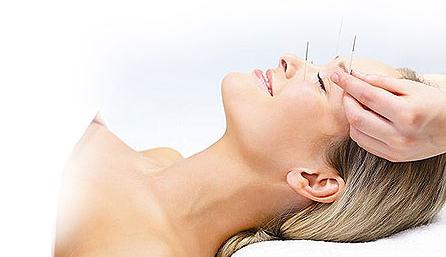 Acupuncture is the treatment therapy, which has six definite good effects. Analgesic effect: This is the pain-reducing effect. It is so powerful that even major operations can be performed under acupuncture analgesia. Calming effect: It is easy to calm the mind with acupuncture. One can easily attain serenity and meditation like calmness. Psychological effect: Acupuncture also cures all psychological problems. It can also change habits to improve behavior. Immunity enhancing effect: Disease preventing & disease curing power of the body can be increased with acupuncture treatments. Also muscles in athletes. Motor recovery effect: Acupuncture helps regaining the lost functions of muscles. This is useful in paralysis and post-operative recovery. It can be used to increase strength of muscles. Balancing effect: Most of our physical systems need balance of water, electrolytes, glucose, temperature etc. to function properly. In a diseased state, acupuncture can help to normalize this balance. All the diseases in humans, animals and plants can be successfully treated with Acupuncture. Whatever is normal; should be beautiful and pleasing. So whenever and wherever on the body we see a non-beautiful part we can make it beautiful with acupuncture treatment. Any thing that can be done by plastic surgery CAN BE done with acupuncture treatment. The acupuncture treatment gives definite results safely. The changes are instantly visible and can last lifetime. Medical Acupuncture is the treatment for diseases, disorders and abnormalities in physical, psychological and emotional systems. In cases of diabetes catgut therapy on ear acupuncture point can enhance function of pancreas and make the patient almost normal. Knee replacement can be avoided with acupuncture O/A technique. The treatment gives immediate relief from pain and inflammation. Within 3 to 6 treatments, the patient will be 80% cured. In cases of paralysis there is dramatic effect in 3 days.
. Total beautification of entire body is possible within first few treatments. Rejuvenation and reversal of ageing signs is possible. Hair treatments can increase the length of hair by many inches within a month. Sexual problems can be banished within a few days. International license [WHO regulations] to practice Clinical Acupuncture.